*Examples only, inspections are not limited to the services below. 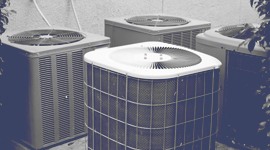 Inspect and maintain your system components – Clean coils, blower components, and condensation drains, check electrical components, lubricate and adjust all systems. Verify proper refrigerant levels – To prevent a system that runs inefficiently and damage to the compressor. Perform a system diagnostics check – To ensure the safe and proper function of your system and thermostat by monitoring the system cycle with gauges. 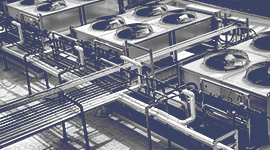 Identify and resolve ductwork leaks – To prevent loss of conditioned air, wasted energy, and an uncomfortable working environment. Prevent unexpected damage and repairs – By addressing issues in your system before they result in costly repairs or system failure. 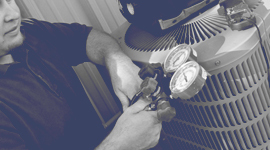 Our HVAC contractors will also confirm your system is maintained and operated within local and state code restrictions. We will complete and submit a report on the current conditions, the action taken, and any recommendations. 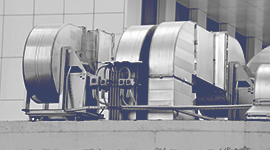 Call us now for a free maintenance evaluation, and we can help you determine what would be the most cost-effective and energy-efficient maintenance program to your business’s needs.